Do you like meat? How about large portions? 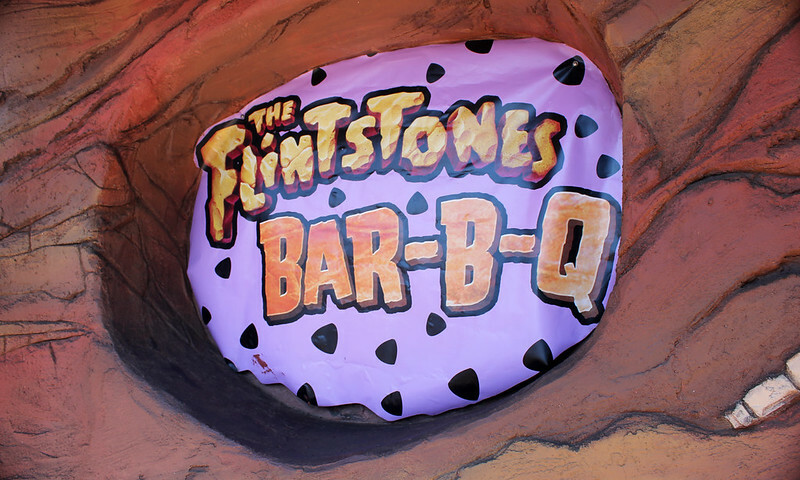 Flintstones Bar-B-Q may be the place for you. » Location: Across from the Special Effects Stage and the Production Central gift shop. » What do they serve? 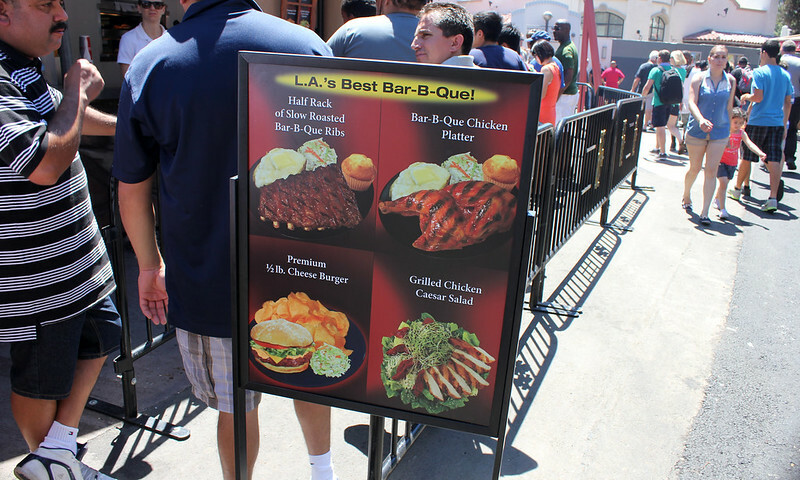 : Bar-B-Q ribs, Bar-B-Q chicken platters, grilled chicken caesar salads, and premium half-pound cheeseburgers. » Pricing: Expensive. While their portions are generous, their starting prices are high. 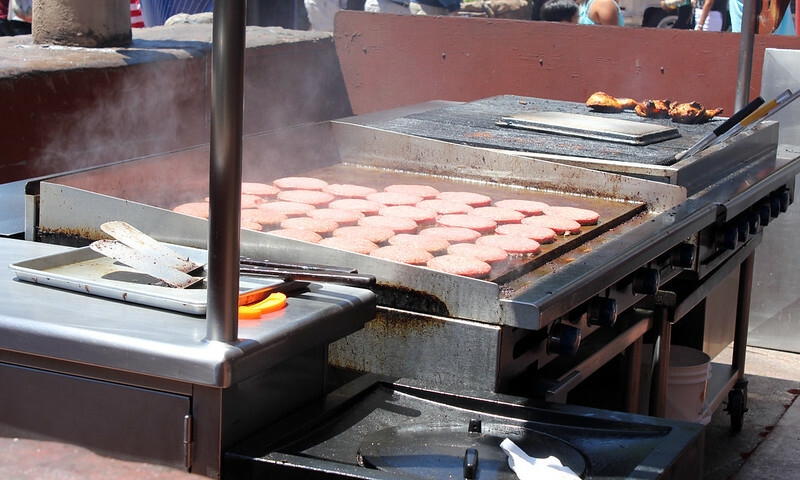 Cheeseburgers start at $9.99 USD and a plate of ribs start at $15.99 USD. 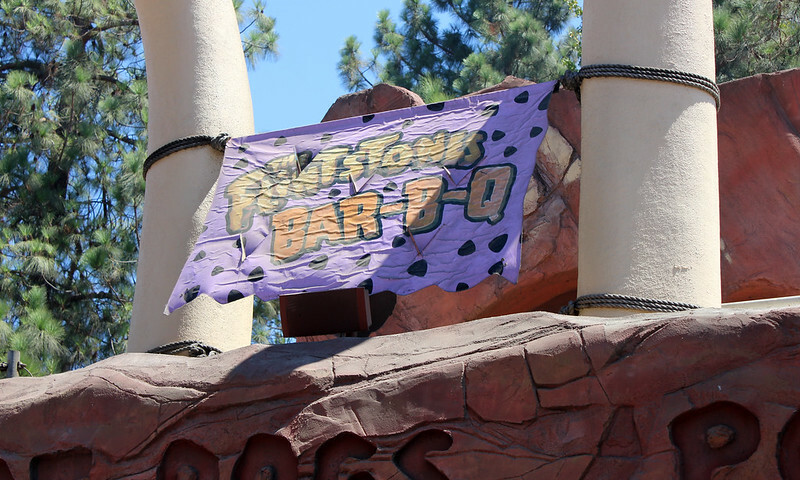 » Our take: Another fan favorite, Flintstones features the best barbeque in the entire park. 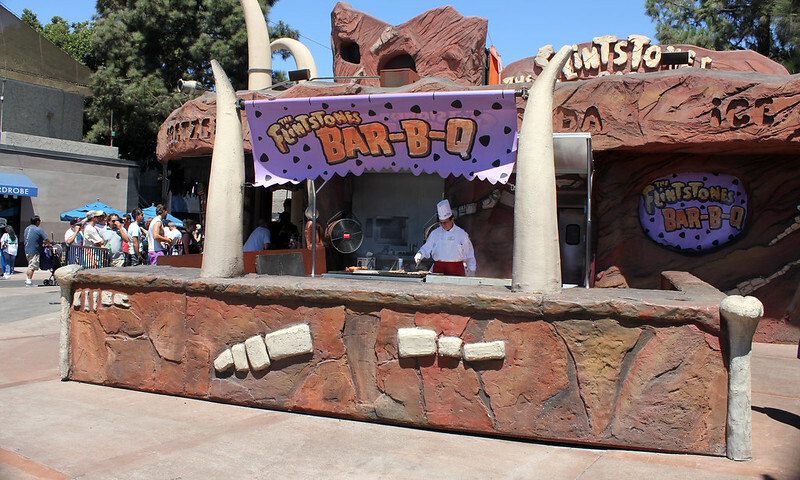 Serving up large, lavish portions, Flintstones is perfect if you’re looking for a plate of ribs or a large burger. 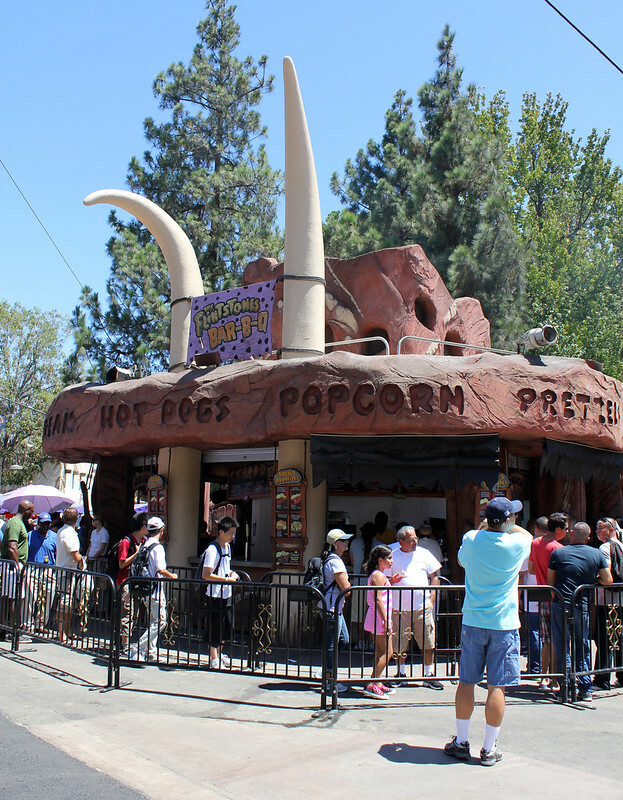 That said, given the park’s current state of construction, be prepared to wait to order. 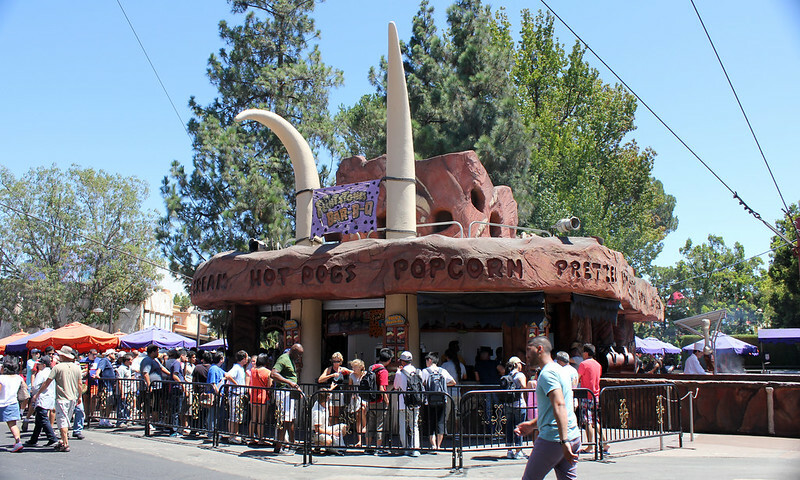 The restaurant’s unfortunate location between Special Effects Stage and Simpsons Plaza means that it gets the brunt of guests looking to go on the Studio Tour, Simpsons Ride or head on over to the Lower. On top of that, the restaurant’s confusing queue system also means you’re typically hard pressed to find a table without hitting an onrush of guests. Our advice: head on over to Universal Plaza for seating and be prepared to hit traffic on your way. » Bar-B-Q Platters (served with a Baked Potato, Cole Slaw and Corn Bread): Half Rack of Slow Roasted Bar-B-Q Ribs Platter, Bar-B-Q Chicken Platter. » Bar-Q-Q Specials (served with Homemade Bar-B-Q Chips): Smoked Turkey Leg with Cole Slaw, or Caesar Salad Supreme with Grilled Chicken. 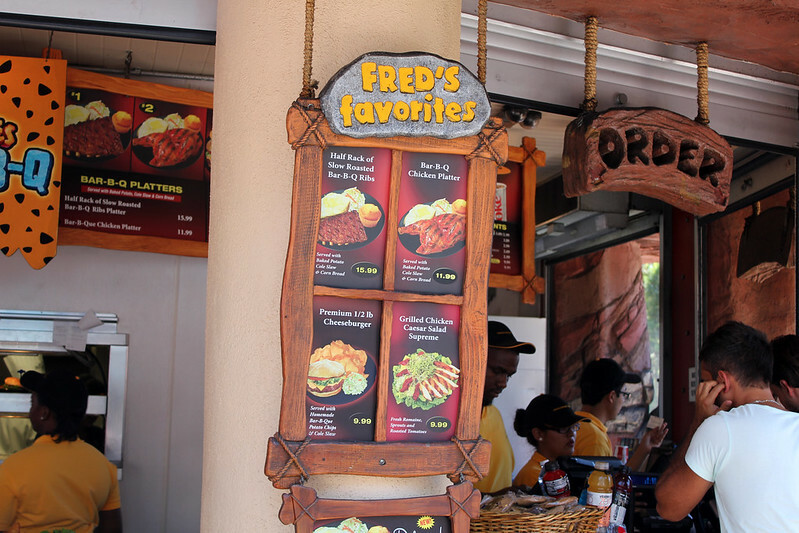 » Fred’s Favorites: Half Rack of Slow Roasted Bar-B-Q Ribs, Bar-B-Q Chicken Platter, Premium 1/2 Cheeseburger with chips and Cole Slaw. » Sides & Snacks: Baked Potato with all the Fixin’s, Roasted Corn on the Cob, Homemade Bar-B-Q Chips, Cole Slaw and Assorted Desserts. » Refreshments: Coke, Diet Coke, Sprite, Powerade, Coffee, Drought Beer, Corona, Heineken, Hot Tea and Hot Chocolate. 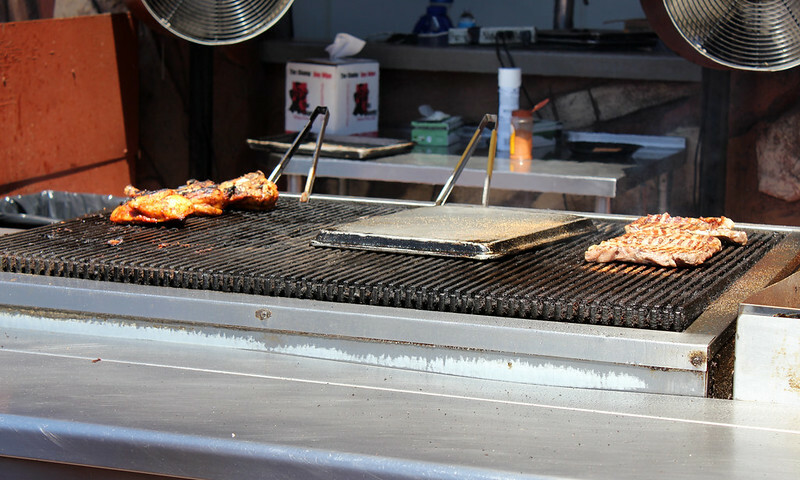 » Special notes: Much of Flintstones Bar-B-Q relies on combination platters, so keep that in mind before ordering.